A companion to the new deluxe edition of Olive, the Other Reindeer and a wonderful Christmas gift in its own right, this advent calendar offers an engaging and interactive way to count down to Christmas. 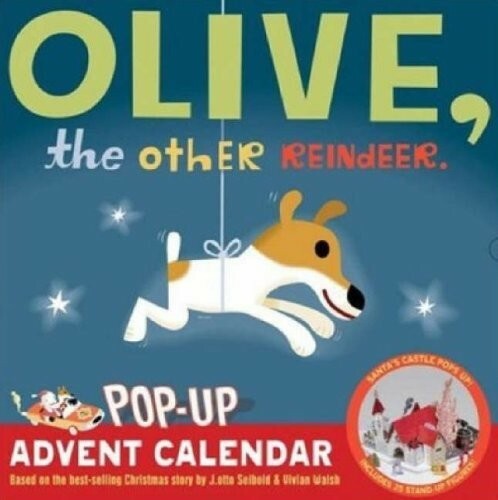 And just like Olive is no ordinary "reindeer," this is no ordinary advent calendar! Featuring an intricate pop-up of Santa's castle in the center, the calendar has a surprise for each day leading up to Christmas, a punch-out figure that children can stand up and place around the castle, whether it's Santa, a reindeer, or Olive herself! By the time December 25th arrives, the calendar will have become a very merry Christmas scene! For more empowering advent calendars, visit our Seasonal section.